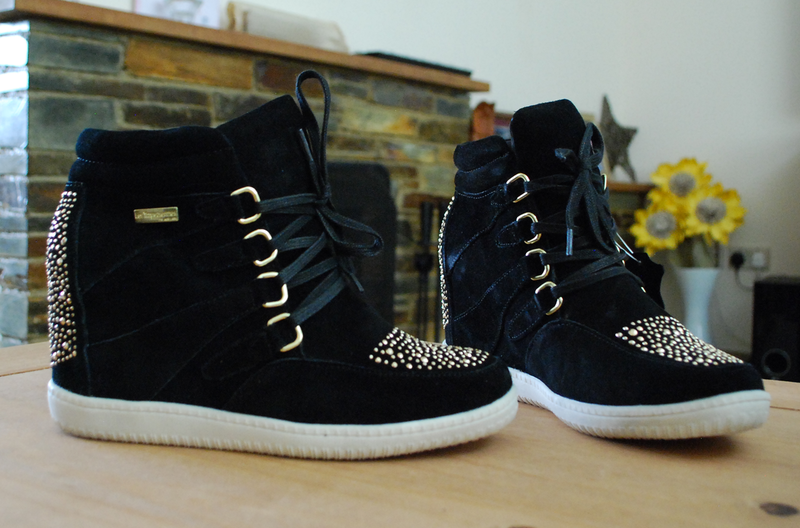 I recently bought some awesome new trainers that I just have to share with you, they can't wait for an outfit post! I've worn these comfy wedge trainers a couple of times already - dress down Friday being one of them - and I've found that they go well with so many styles. It's hard to believe that they have a such a big heel in them really because as far as heeled shoes go these fit so nicely and don't make my feet ache at all.